Franklin, Joseph Paul a/k/a James Clayton Vaughn, Jr.
Joseph Paul Franklin a/k/a James Clayton Vaughn, Jr., was executed by the state of Missouri on November 20, 2013. 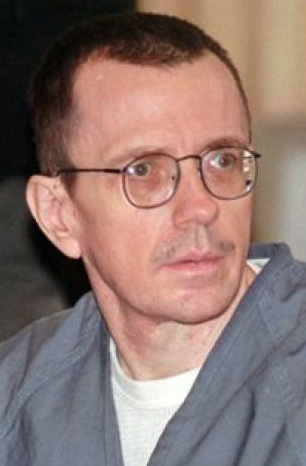 Joseph was pronounced dead at 6:17 am CST, inside the execution chamber at the Eastern Reception, Diagnostic, and Corrections Center in Bonne Terre, Missouri. Joseph was 63 years of age. He was executed for the murder of 42-year-old Gerald Gordon outside of a synagogue in Richmond Heights, Missouri, on October 8, 1977. Over the course of four years, Joseph killed an unknown number of individuals across several states. His motives for killing were racially motivated. Joseph has been convicted of kill eight people, confessed to killing 17 more people, and suspected of killing 21 other people. Growing up in Mobile, Alabama, Joseph became interested in Adolf Hitler and groups that espoused similar racist beliefs. Joseph was also a member of the National Socialist White People’s Party and the Ku Klux Klan. Joseph was also physically and psychologically abused by his parents. His father was an alcoholic. Joseph dropped out of school after the 10th grade. Joseph served in a branch of the Alabama National Guard. Please pray for peace and healing for the family of Gerald Gordon and for all those who have been hurt by Joseph’s actions. Please pray for the family of Joseph.